Victory in Durant, Oklahoma! Toni Morrison’s The Bluest Eye has returned to library shelves at Durant High School after a review committee earlier this week denied a parent’s request to have the book removed. Michele Williams challenged the book’s presence in the school library last month after reading hyperbolic accounts of its contents and the author’s intent via social media. Although some members of the school board said they shared her concerns, they did follow district policy by appointing a review committee comprised of a librarian, principal, counselor, teacher, and parent. After reading the book in its entirety, the committee “determined [it] was suitable for the high-school age range,” although the proceedings were not made public. Superintendent Duane Merideth did note that parents may speak with the librarian regarding materials that they don’t want their own children to check out of the library. Since The Bluest Eye is listed as an exemplar text for meeting the Common Core State Standards for 11th grade English Language Arts, out-of-context excerpts from the novel have recently been turning up on right-wing blogs and resistance to this book in particular has become something of a cause célèbre. However, Common Core does not require states or school districts to adopt any particular readings. Exemplar texts are just that: examples of texts that meet the standards, so that teachers and others involved in curriculum planning can see how the guidelines can be applied in practice. 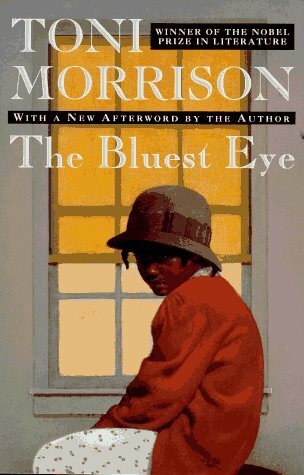 The Bluest Eye is not assigned reading in the Durant School District, but simply held in the library–where it had not been checked out for the past seven years. Now that it’s back on the shelf, we hope some students will take the opportunity to read it!